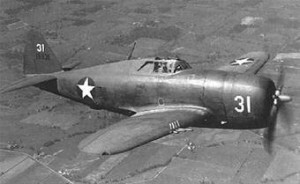 On April 10, 1943, 2nd Lt. John Franklin Reed, 26, was piloting a P-47C Thunderbolt, (Ser. No. 41-6095), over the Westhampton area when the engine stopped. A 12-year-old boy who witnessed the event later told a reporter that he saw the plane, with its motor not running, gliding overhead at a low altitude. Then he saw the pilot jump, but his parachute didn’t fully open before he hit the ground. The plane crashed and exploded in a thickly wooded area off Route 66 in the southern portion of town. The pilots body was found a short distance from the crash site. Lieutenant Reed was from Pine Bluff, Arkansas, where he attended Pine Bluff High School and graduated with honors. He was a 1941 graduate of Ouachita Baptist College, in Arkadelphia, Arkansas, where he earned academic honors, was active in athletics, and enrolled in the Army Reserve Officers Training Program, (ROTC). After graduation he transferred to the Army Air Corps, and after completion of his training received his pilot wings and officer’s commission at Luke Field, Arizona. 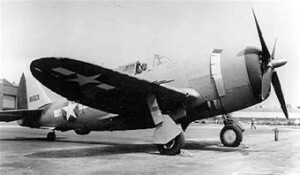 At the time of the accident he was assigned to the 320th Fighter Squadron based at Westover Field in Chicopee, Massachusetts. He was survived by his mother and his wife whom he married in June of 1942. Lt. Reed is buried in Graceland Cemetery in Pine Bluff, Arkansas. Springfield Republican, (Mass. ), “Westover Field Pilot Is killed At Westhampton”, April 11, 1943, page 1.